Premier Kathleen Wynne and the Honourable Chrystia Freeland, Federal Minister of International Trade, joined GE global executives and representatives from Welland and the Niagara Region in a groundbreaking ceremony celebrating the start of construction for GE’s multimodal “Brilliant Factory” in Canada. The facility is expected to create 220 jobs with operations commencing in early 2018. The first phase of the investment is US$165 million. This first–of-its-kind facility in Canada will combine decades of experience building innovative industrial machines with cutting-edge data science and analytics expertise to enhance efficiency and streamline production. 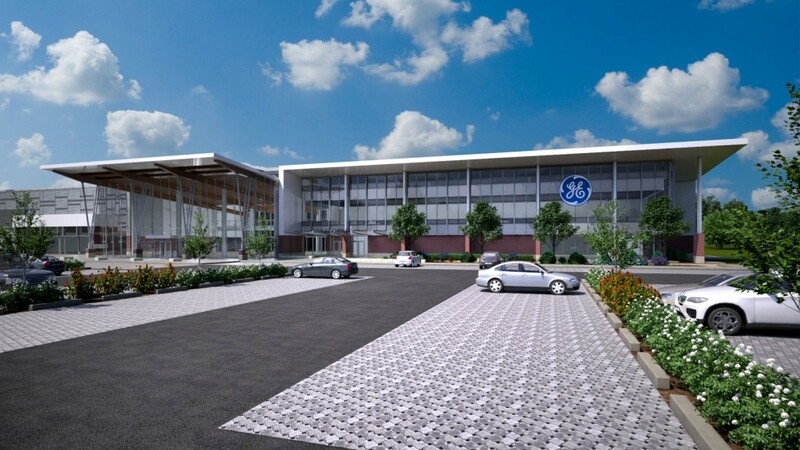 The facility will initially manufacture GE Power’s reciprocating gas engines, components for compression, mechanical drive and power generation, and manufacture components for GE transportation diesel engines. The multimodal design enables future production expansion for other GE global businesses including Power, Oil & Gas and Transportation. Welland’s close proximity to the U.S. border, availability of skilled labor and education facilities were important considerations in the location of the factory. Architectural and design companies selected by GE for the project include HH Angus, B&H Architects, CSO Architects, Lea Consulting and Thorton Tomasetti. PCL Construction is the general contractor.